Understanding the spatiotemporal behavior of water flows in geothermal reservoirs is essential to achieve effective steam production. One of the effects associated with water flows is occurring of tensile seismic events. The tensile seismic event is likely triggered by inflow into or outflow from fractures in rock body. In this study, the tensile seismic events were employed as a proxy of the water flow. We aim to reveal spatiotemporal water flow paths using microseismic events. In order to suggest the optimal design of Enhance Geothermal Systems (EGS), we need to understand the dynamics of pre-existing rock fractures during pressurized water injection into the geothermal reservoirs precisely. Especially, the shear slip on fractures and the fracture propagation from tips/asperity contacts of fractures should be carefully investigated and modeled, since these mechanisms could vary the mechanical and hydraulic properties of geothermal reservoir drastically. In this presentation, we introduce the experimental results those explore the linkage between strength, strain/slip distance, permeability, and acoustic emissions of the fractured rock of granite during hydraulic shearing/fracturing under high stress condition assuming the geothermal reservoir environment. Experimental results tell us the failure criteria, maximum strain/slip distance, maximum permeability change, and so on for the fractured rock in laboratory-scale. Based on these experimental results, we further consider how these parameters vary depending on the representative scales of reservoir. 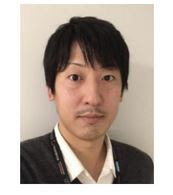 About the Speakers: Dr. Kyosuke Okamoto and Dr. Takuya Ishibashi are both research scientists of the Geothermal Energy Team at the Fukushima Renewable Energy Institute, National Institute of Advanced Industrial Science and Technology (AIST) in Japan.